It's SUMMER in our house!!! If you need us, check the pool! In true Friday fashion, I'm joining my girls, Narci and Andrea, to share our Friday Favorites. We'd love for you to join us! My girl in her recital costume at dress rehearsal this week was a FAVORITE! Ebby Lee had Kindergarten Splash Day this week. She had an absolute blast! 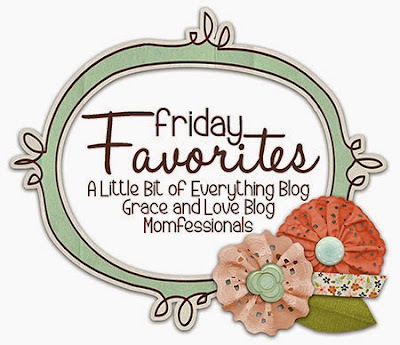 A FAVORITE for sure! My FAVORITE littles. These two have had lots of tee-ball games to sit through so far this year and even more in the years to come. They do SUCH a good job! Her LAST day of kindergarten was yesterday! I'm not sure how this year flew by so quickly, but it did! She had a great year! A successful first year of elementary school is a FAVORITE for this mama! The kindergarten class had a little "Thank You" ceremony for the parents yesterday. It was the cutest little send-off. This handsome guy was sitting to my right. He's one of my FAVORITES! Watch out Kindergarten!!! These boys are headed for you! Ebby Lee's cheering section...Tab had to be out of town for work...so these two Grandmas stepped in for him. Such sweet pictures of Ebby Lee! I can't believe our babies are headed to first grade. Wasn't it just yesterday that we were lamenting about how we couldn't get pregnant...and now, we have first graders (and kindergartners) (and preschoolers). God is so good :). So sweet! I love all of those pictures of the last week of kinder!! So proud of that sweet girl!! Such a fun week! I think my favorites have to be Ebby Lee's shoes (girl can rock them!) and the picture with your Mom and Marla! Happy Summer! 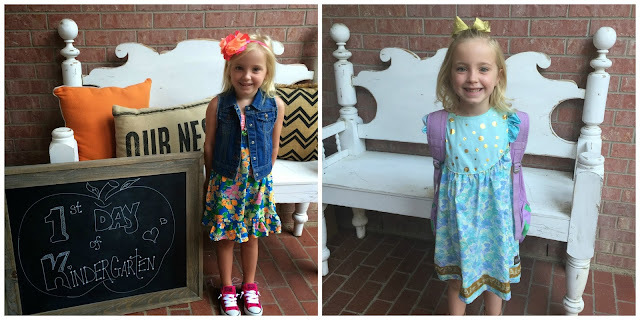 I love seeing the difference between Ebby Lee's first and last day! Wow she has grown! Beautiful family! Hope you have the best weekend! Enjoy your summer!!! Love doing the 1st & last day pics!!! Happy Summer.....5 more days for us! Ebby Lee is adorable in her dance outfit! Gorgeous! You definitely need to frame a picture of her in it! Her eyes pop with that green! Do they make Ebby Lee's shoes in my size?!! :) Love them -- and she's precious as well!